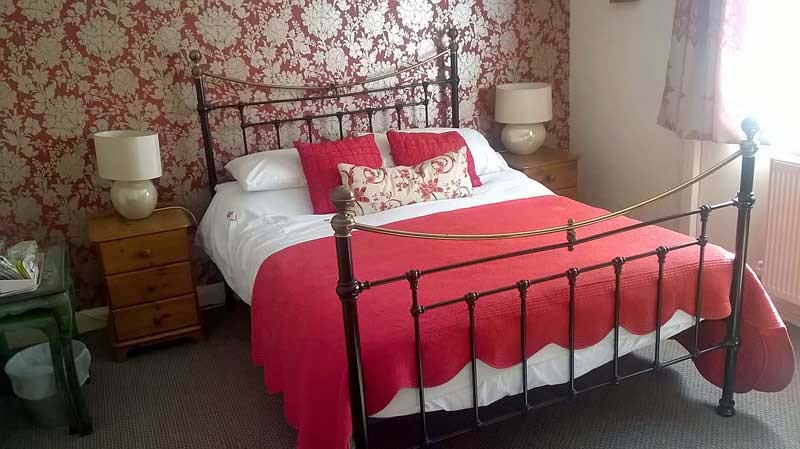 Branlea is a comfortable and quiet bed & breakfast in the centre of Ludlow. An ideal location for exploring the Medieval town centre and surrounding walks, Branlea is situated on a side street two minutes walk from Ludlow Castle. Many pubs, cafes and restaurants are within easy walking distance. A warm friendly welcome awaits you. • Limited off road parking. • Guests only private patio, ideal for a drink on a summer evening. • Traditional English breakfast plus a range of alternatives are available. All made with locally sourced ingredients whenever possible. • Breakfast is served in the dining room in the owners house, 10 metres away. • All are rooms are double ensuite (shower or bath) and offer Freeview Digital TV, tea and coffee making facilities. • With regret no pets.